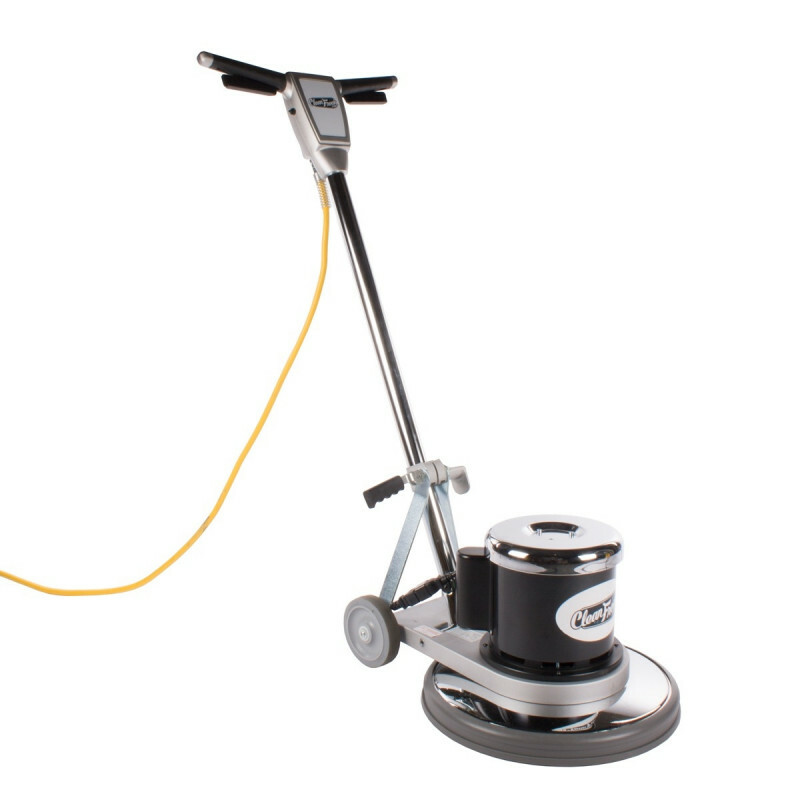 This heavy-duty CleanFreak 20 inch floor buffer is a multi-purpose machine that will offer you years of outstanding performance. It features a powder-coated, all-metal apron that assures its good looks will last as long as its reliable components! This machine can tackle virtually any job. Its deck protects the brush and/or pad that spins at 175 RPM, providing a safe environment while scrubbing. This CleanFreak machine has become the first choice of many cleaning professionals for spray buffing, scrubbing, stripping, shampooing, and even bonnet cleaning. The heavy duty chassis, all steel triple planetary transmission, and high-torque dual capacitor motor allow you the flexibility and power to complete all of the previously mentioned tasks. You won't find a machine as feature-packed and dependable as this one is, at such an affordable price. Plus, its manufactured in the U.S.A., and comes backed by a 5 year motor warranty! If this floor buffer is not exactly what you're looking for, please feel free to check out our full lines of low speed floor buffers, dual speed buffers, and high speed burnishers for more options. You're sure to find a machine that fits your specific needs in our broad selection. If not, please give on our machinery experts a call at 855-242-9029, and they can walk you through choosing the right machine for your needs.